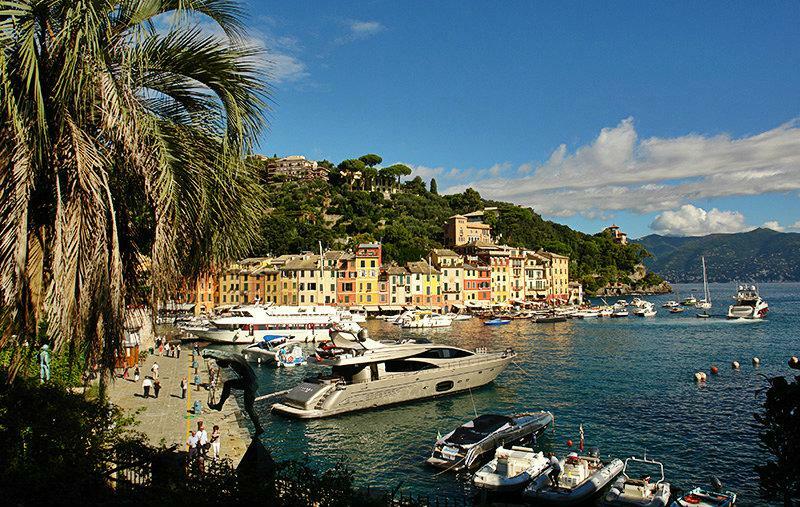 You will surely like spend your holiday in the famous and beautiful town of Portofino in Liguria, Italy. 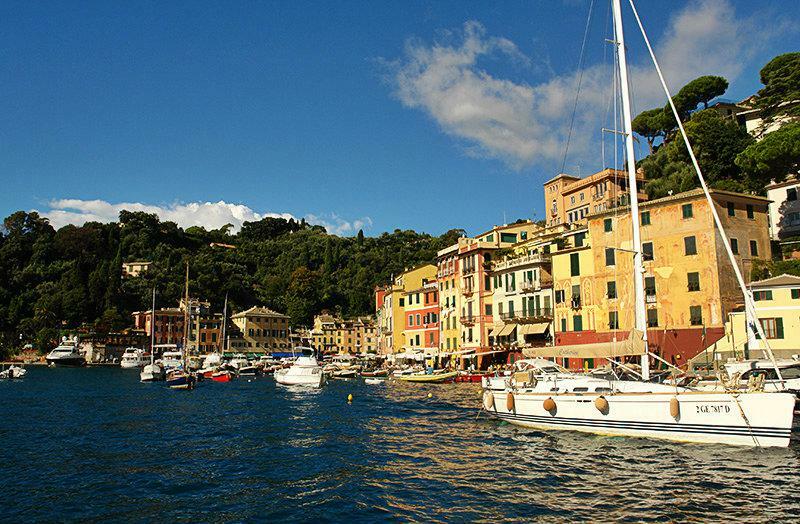 Portofino is the most well known and loved fishermans town on the Riviera di Levante. It has also gained familiarity through Montague Yeats Brown, the British consul in Genoa, who managed to acquire the Genovese Bastion Fortezza also known as the Castello Brown. The small town offers a spectacular scenery. The famous brightly colored houses along the harbor, which seem to permeate a flair of the rich and famous as well as picturesque little alleys which lead throughout town amidst well known stores such as Gucci, Prada and Armani. If one climbs the stairs to the medieval church of San Giorgio they are rewarded with a wonderful panoramic view of Portofino. Right next to the church is Castello di San Giorgio which was built in the 16th century. Originally it served as a quarantine for military personnel but was later renovated by Baron Alfons von Mumm. If you are interested in visiting Portofino, we recommend traveling by train or boat, so that you can avoid waiting in huge traffic jams and save yourself from the most expensive parking tickets (probably) in Europe. 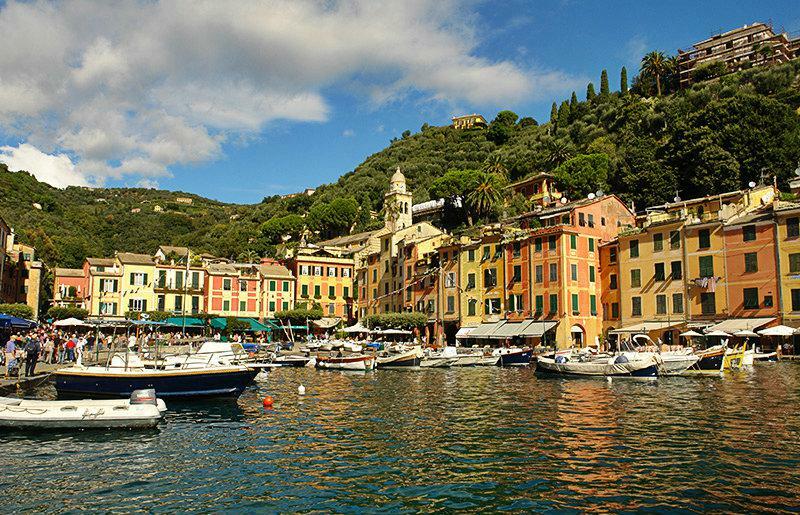 Portofino was founded during the times of the Roman Empire. The name originates from Portus Delphini (dolphin port), because there were many dolphins in the Gulf of Tigullio. 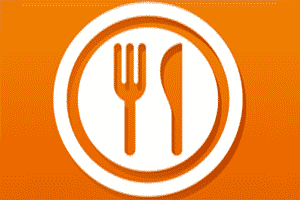 The locality was given to the Abbey of San Fruttuoso in 986. In 1229 Portofino became part of the Republic of Genoa, the village port served as a refuge for the fleet of the Republic and its merchant ships. In 1409 Portofino was sold to Florenz by Karl VI. However, there were riots and Portofino was given back to Genoa. In the 15th Century the then reigning family Fregosi, gave the locality to the Spinola, Fieschi, Adorno and Doria families. 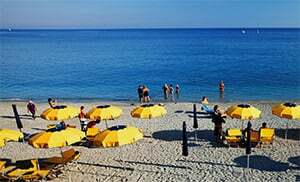 Portofino was incorporated into the First French Empire in 1805; it became part of the Kingdom of Sardinia in 1815 and in 1861 part of the Italian Kingdom. 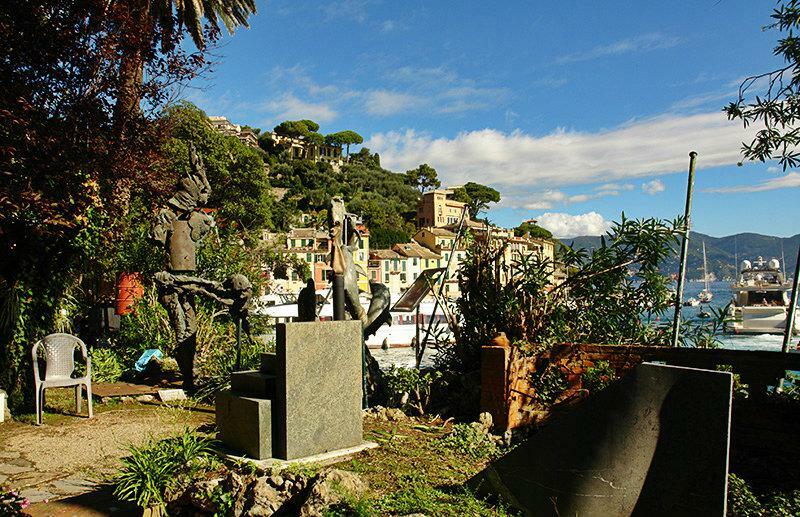 A German sea emergency flying squadron was stationed in Portofino during the 2nd World War. Portofino is a village in the Genova Province which lies in the Liguria region. 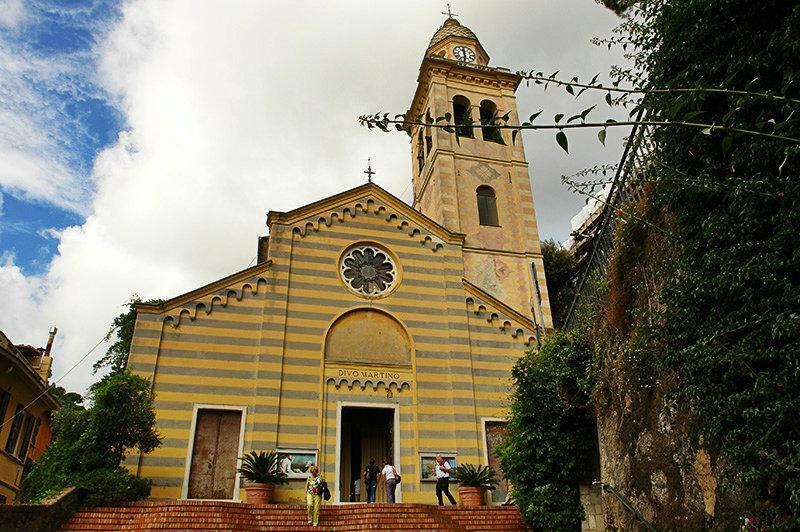 There are several other villages near Portofino like: Paraggi (2.4 km), Pedale (3.3 km) and Nozarego (6.2 km). 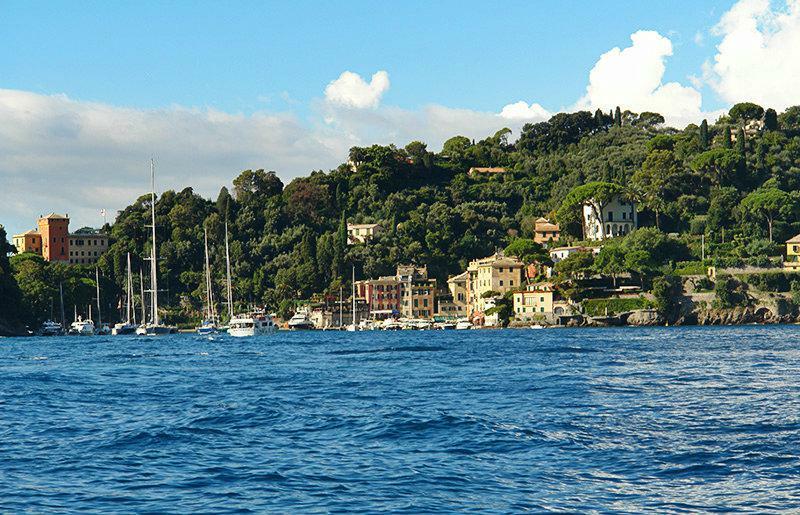 When coming from Genoa, take the highway exit to Rapallo and follow the SP227 to Portofino.